The Showa Koi happen to be one of the most beautiful types of the Koi fish with vibrant colors that many people enjoy. Usually these fish are characterized as having a body that is black, along with both white and red markings all over their body. This type of Koi is considered part of the “big three” or the gosanke. The goasanke includes not only the Showa, but it also includes the Sanke and the Kohaku as well. You may be wondering about the history behind the Showa Koi. This specific type of Koi was developed back in 1927 by Jukichi Hoshino. The combination was achieved by him when he combined together Ki-Utsuir and Kohaku Koi. The early look of these fish had fins that were striped and a shiro that was on the gray side. The hi was pretty weak and the sumi part of the fish was on the dull side. Later on, these fish would be bred along with some of the Asagi Koi, which brought out the beautiful fin markings that are black. At this point though, the hi on this fish was still quite pale. At this point, Tomiji Kobayashi would take a female Showa and cross it with a male Kahaku in 1964. This brought about the newer Show style with the red pattern. The white part of the fish was now brighter, but these show had poor shape and a smaller size. It wasn’t until later that Minoru Mano would be able to breed the fish to come up with the incredible inazuma look, which helped improve the quality of the color and the shape of the body was improved as well. Those who try to breed beautiful Showa Koi find that it can be difficult to breed a perfect Showa. 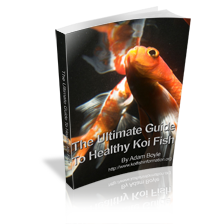 The perfect Koi becomes more difficult to achieve the more colors you have within a pattern of the fish. The Showa are supposed to have larger blocks or stripes of black color along the Koi, although through the life of the fish, the amount of real black can end up changing over time. One reason that it can be so tough to breed Showa Koi is because of the changing colors. When the Showa are only three days old, at this point they have two colors on them. One usually is grey and the other is a yellow that is very pale. Sometimes people think that the Showa Koi are one third red, one third, black, and one third white. However, not all of the Showa are going to actually fit into this criteria, so keep this in mind if you are going to purchase this type of fish. Many people like to purchase Showa that are still young. They look for those that have beautiful colors already, with white, black, and vivid reds that contrast to each other. Although these fish may look like they are show perfect when they are purchased, they can end up being very unhappy in the future. When Koi have red on them, the brighter and harder the red happens to be, the closer the fish is to peaking with that color. This means that the red is going to begin deteriorating over time. It may disappear altogether or it may become a bit on the blotchy side. It’s best to look for fish that have a softer red that is very thick. You’ll want to go with Showa Koi that are still going to develop and become more beautiful. 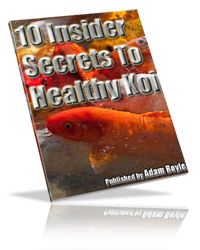 It is possible to find Koi that are known as tategoi, which is basically Koi that can begin improving. While they may not be beautiful while they are young, often these Showa end up becoming so beautiful over time. These are the fish that many collectors are happy to gamble on. They will pay quite a bit of money for these young Showa because there is a good chance they will become extraordinarily beautiful in the future. Showa Koi can definitely be a wonderful choice of Koi, but there definitely is a lot to consider. If you simply want to purchase them to stock a backyard Koi pond, it’s probably a better deal to go with cheaper Showa. However, if you want to show your Koi, then taking some risk on one of the tategoi may be well worth your money.